Bring up the topic of natural beauty products and it’s inevitable that someone will (unfairly) gripe about the price. And while you can in fact find affordable, clean products at your drugstore (yes, really! ), 100% Pure is taking things a step further with a—wait for it—pay-as-you-wish pricing model. On Thursday, September 8, the organic, fruit-dyed makeup and personal-care brand (which started in 2005, way before there was a full-scale clean beauty revolution) is launching its four newest skin-care lines with a pay-as-you-wish initiative. 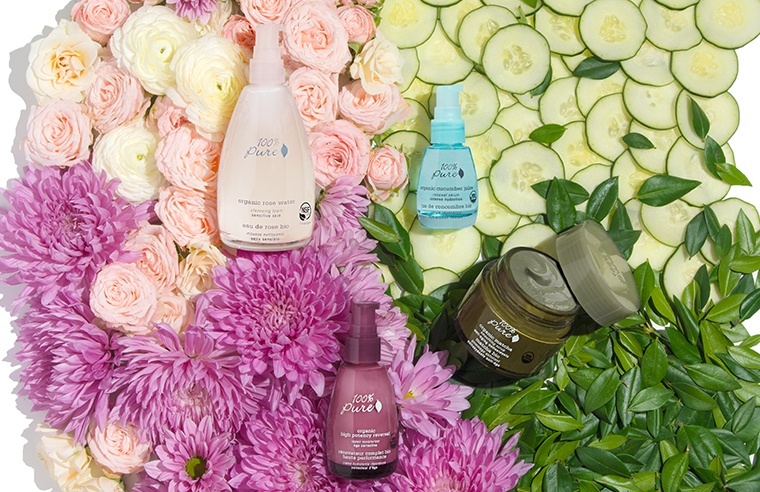 For one day only, shoppers at any of the brand’s 12 retail stores can set their own price for 100% Pure’s new high potency, rose water, cucumber juice, and matcha collections (designed for age correction, sensitive skin, intense hydration, and age prevention, respectively), all of which include some combination of a nourishing moisturizer, serum, foaming cleanser, and toner. Their regular prices range from about $40-$55. All proceeds will go to Forget-Me-Not Farm, a California-based charity that helps rescue and care for farm animals. “Partnering with a charity we believe in and raising money through our products is a win-win,” says 100% Pure’s co-founder (and animal lover-in-chief) Susie Wang. “We get to educate people about why you should be compassionate to animals and educate women about toxins in cosmetics while providing products that are healthy for them.” Deal. We’ve seen the customer price-setting model come to life with donation-based fitness studios like Yoga to the People and Adam Rosante’s boot camp (not to mention the music playing on your headphones—remember when Radiohead let listeners set the price for their 2007 album In Rainbows? ), but it’s an exciting first for the natural beauty industry. Now, if only athleisure brands would get in on this business model. We had to ask! If you’re an animal lover like Wang (I know I am), you need to know about goga—aka goat yoga. New to the natural beauty game? Here are six surprising facts that might make you a convert for good.